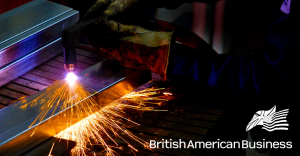 “BritishAmerican Business regrets the decision by the US administration to lift the moratorium on the imposition of tariffs on the import of steel and aluminum from the EU. The question of whether having a functioning steel industry is a matter of national security can be debated, but to base this decision purely on national security grounds is a contrivance to live within WTO rules. This is particularly the case given that those countries impacted are amongst America’s staunchest allies and friends; and in the case of the UK, the steel exported to America is largely used in the military. As an organization that believes fundamentally in the power of trade to spread prosperity, we are instinctively opposed to any measures taken by governments that increase financial and non-financial barriers to free and open trade, which we believe will have the opposite effect.